Have you ever discovered a hidden treasure in your own backyard? A few weeks ago, we found a real treasure! It was a bright, sunny Saturday morning, just the kind of day meant to slow down and step back in time. Our destination was the old Fischer Farm. 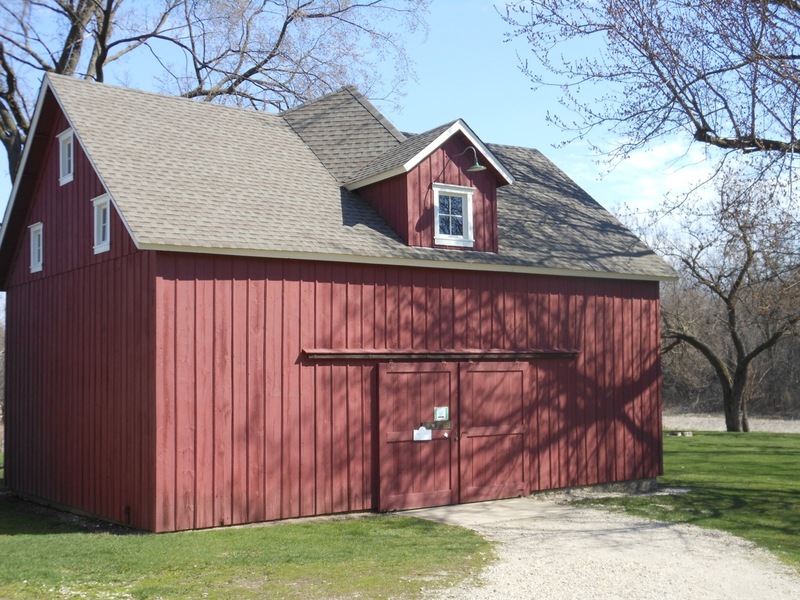 Although this historic gem is located in a nearby town, we had never visited the farm before. 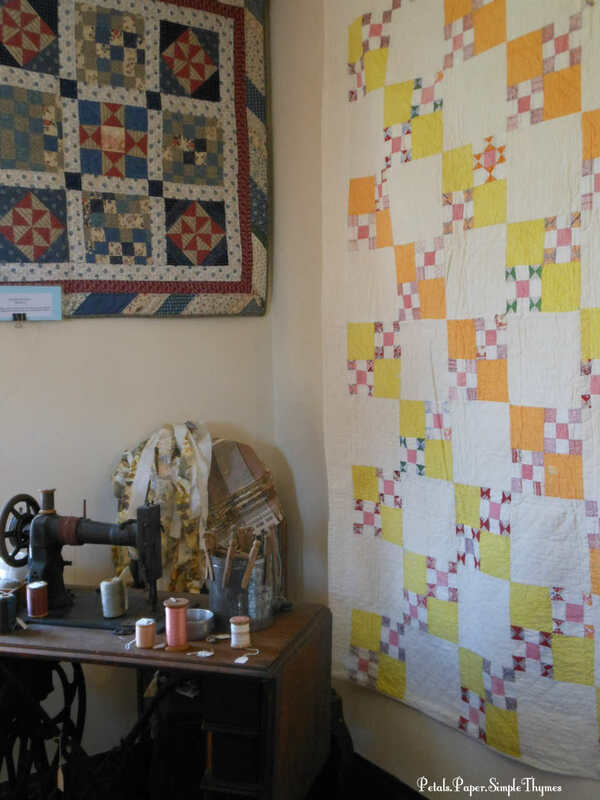 I was really looking forward to their seventh annual “All Around the House” Quilt Show, the perfect time to enjoy two of my very favorite things ~ old houses and antique quilts! 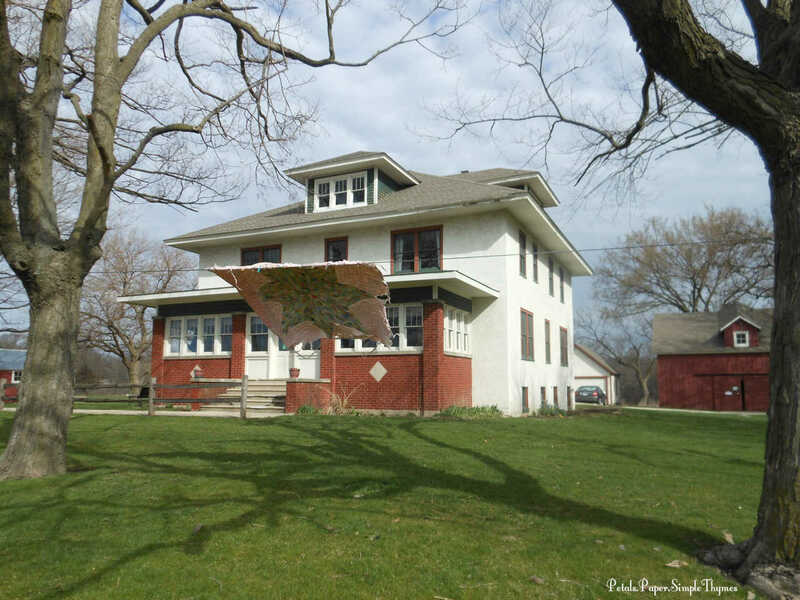 The main Fischer Farm house was built in 1920. 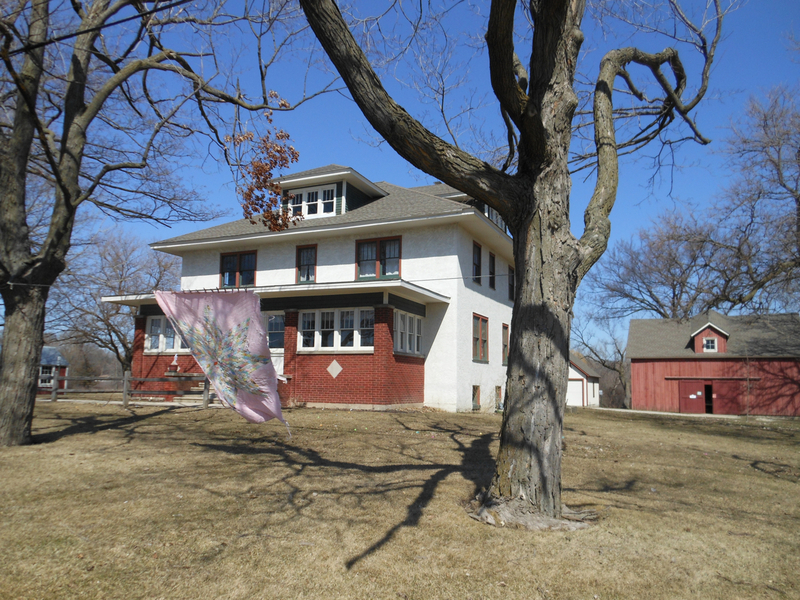 We were greeted by an antique quilt, dancing in the breeze, as we walked up to the farm house. This was my kind of place and I couldn’t wait to step inside and explore! Over the years, this beautiful home has been lovingly restored, with original woodwork and period furnishings upstairs and downstairs. Friendly guides shared the history of the Fischers, a German immigrant family. 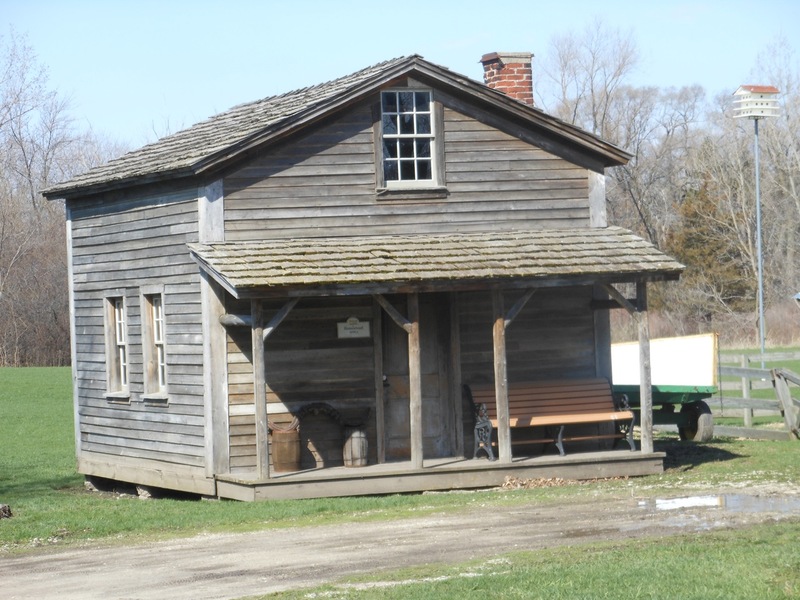 Their original 1838 homestead and all of the preserved farm buildings on the grounds offer a glimpse into farm life from 1838 through 1930. We are already making plans to visit again! 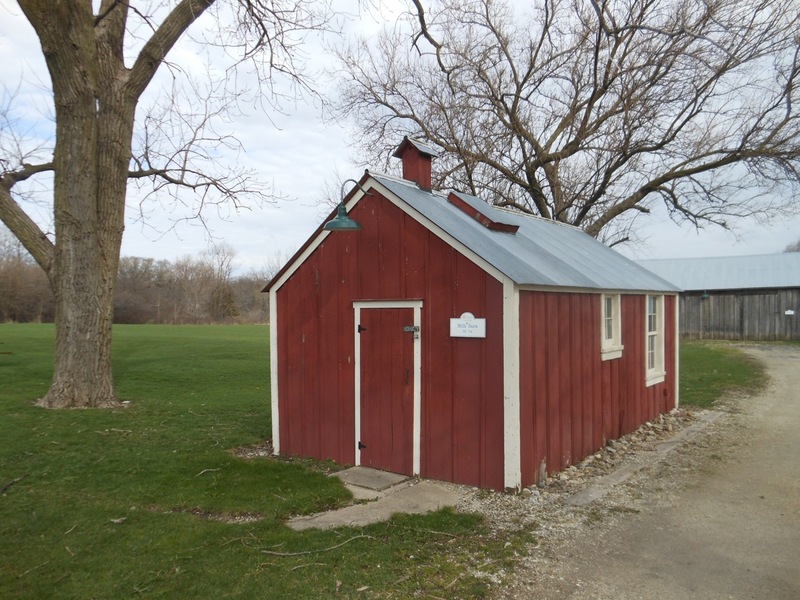 So many special events are planned at Fischer Farm throughout the year. 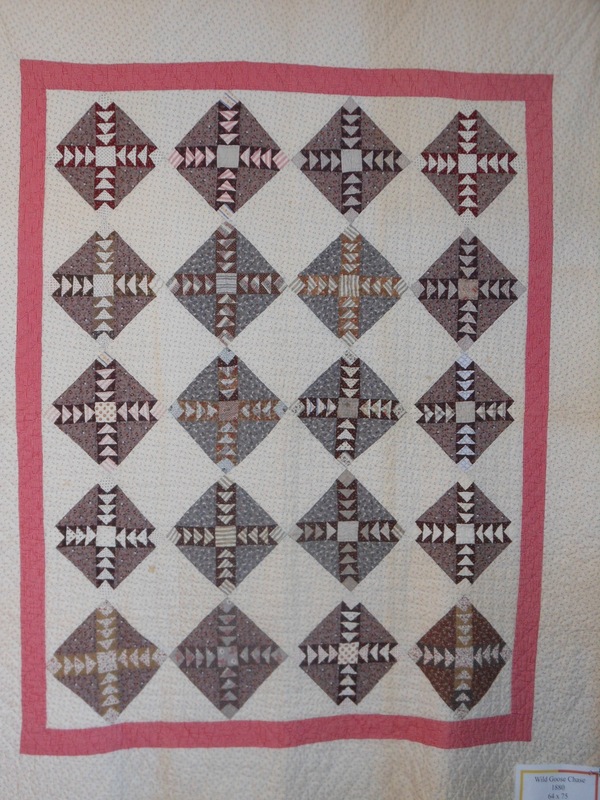 The warm colors and the lovely blocks made this contemporary quilt stand out! The Quilt Show was just lovelyl! 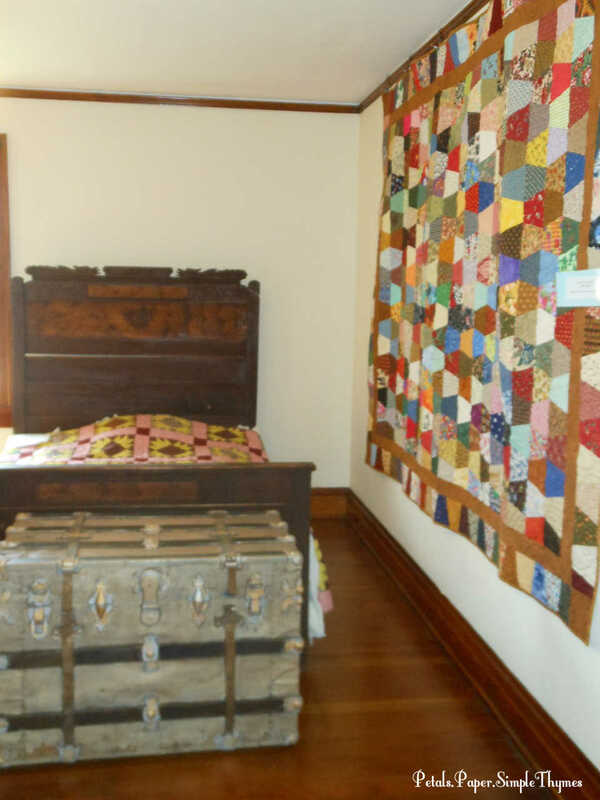 Handmade antique and contemporary quilts were hung from all of the walls throughout the house. 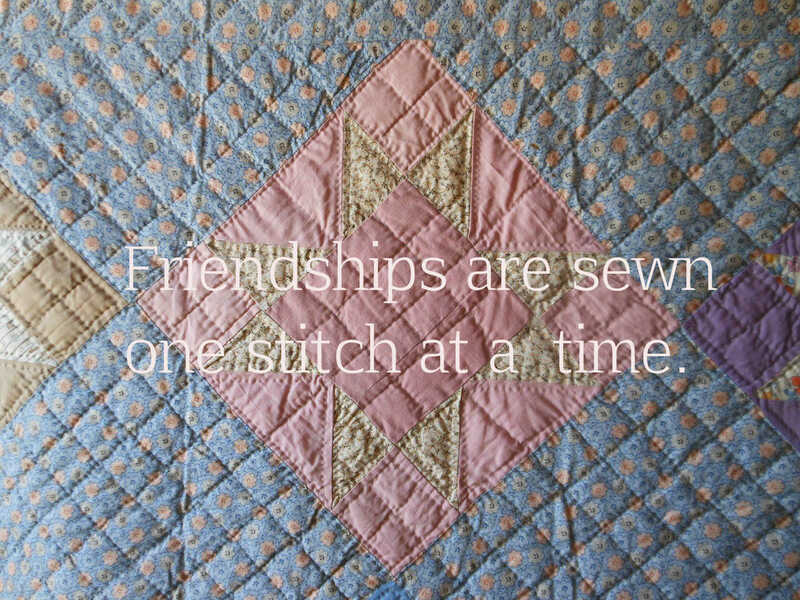 (I would love to give credit to each of the quiltmakers! 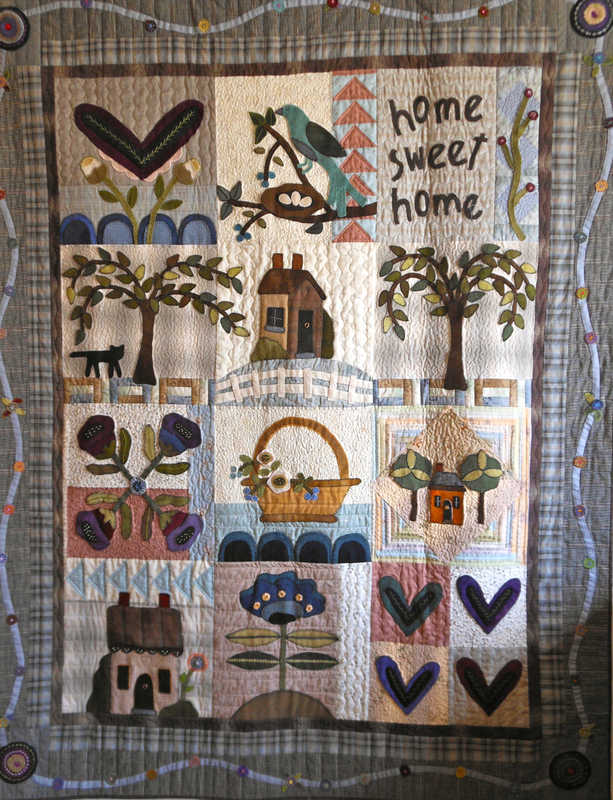 Please let me know if you can help identify any of the talented people who made these quilts.) In one of the bedrooms, we watched a “bed turning” presentation. White-gloved volunteers carefully turned down layers of quilts on an antique bed, pausing to share the stories of each of the eight quilts. 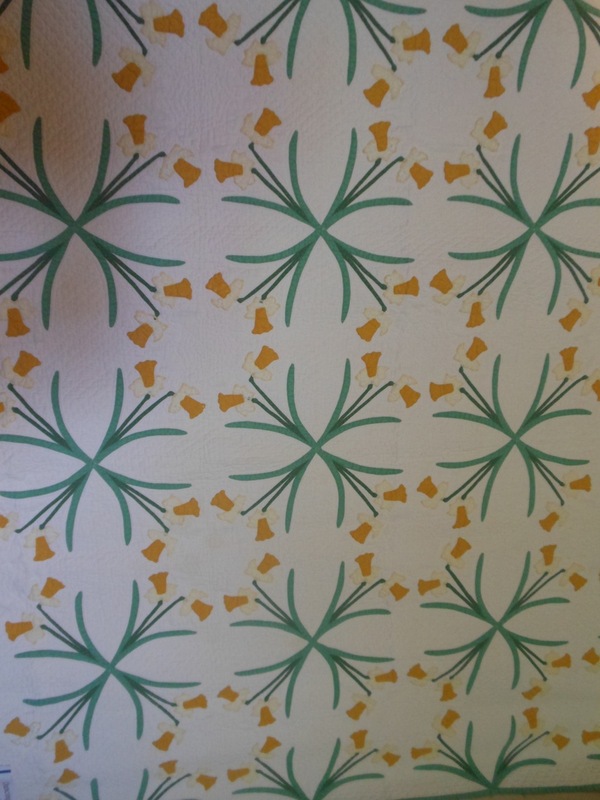 It was just fascinating to see how the styles, patterns, and colors changed over the years. 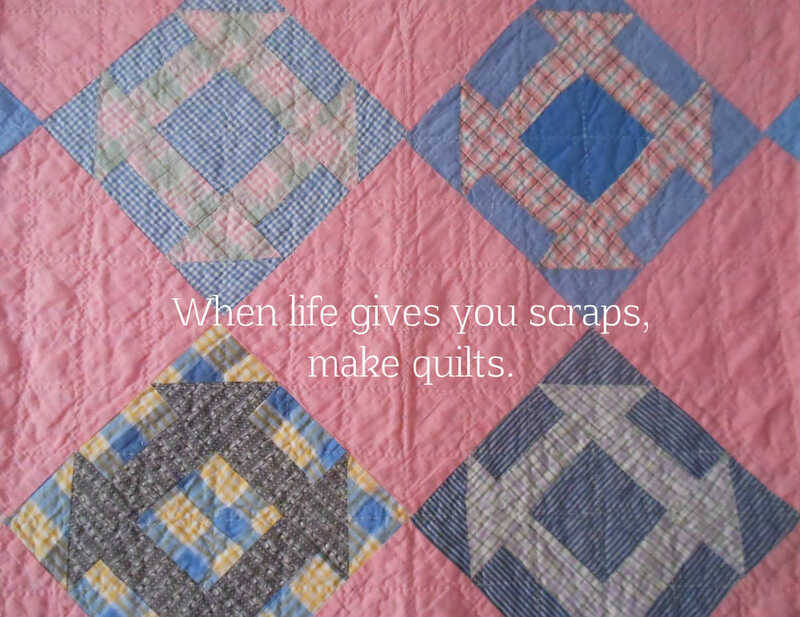 We are so fortunate that so many families carefully preserved their well-loved quilts. We admired the timeless beauty, soft colors, and delicate stitching. 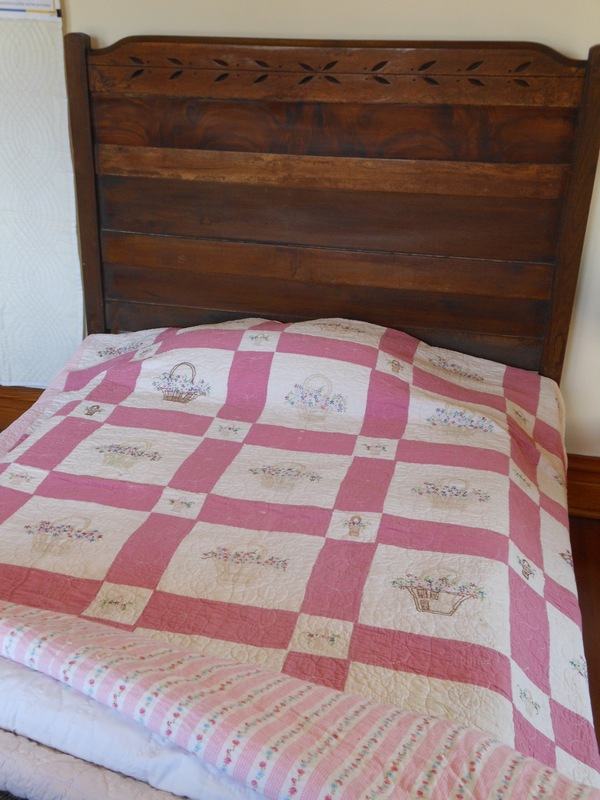 I am always drawn to the soft fabrics, delicate handstitching, and warm colors of antique quilts. 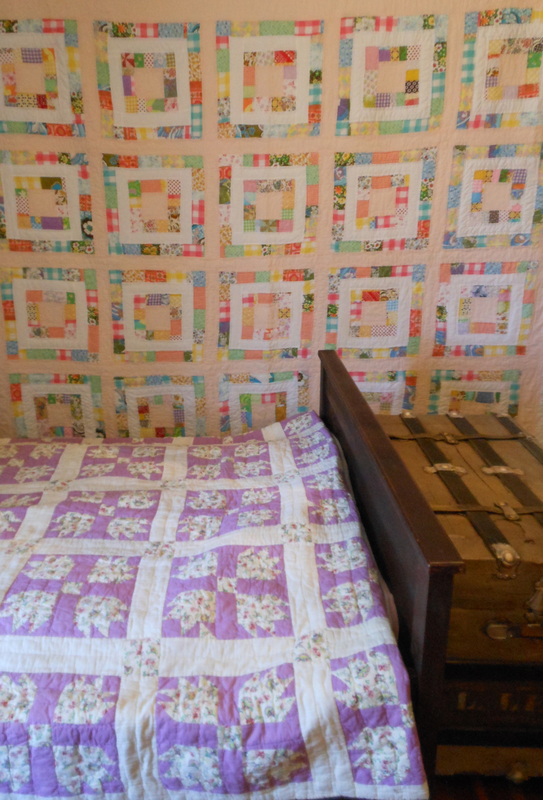 Although I’m not a quilt maker, my small collection of Amish and vintage quilts adds such warmth to our home. Each one holds a wonderful story of how it came to be part of our home. 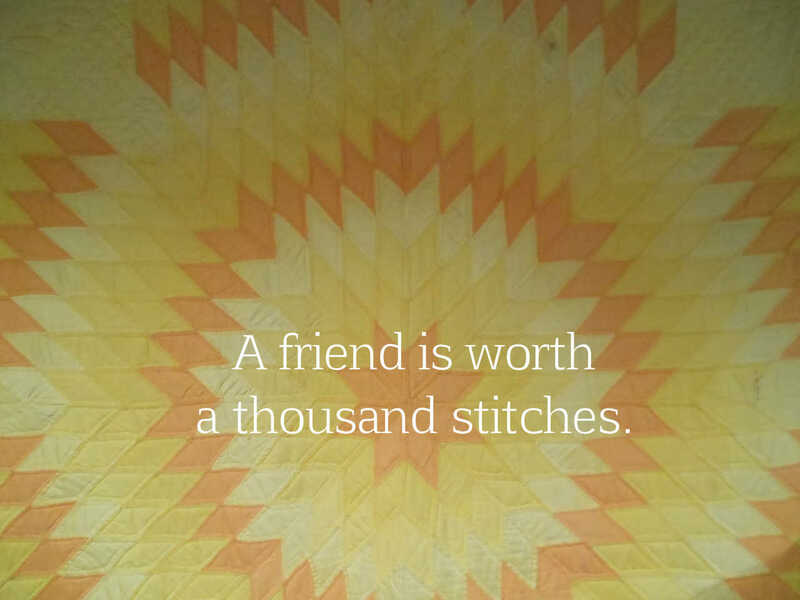 I often think of the countless hours the quiltmakers worked designing, cutting, piecing, and quilting each treasured work of art. 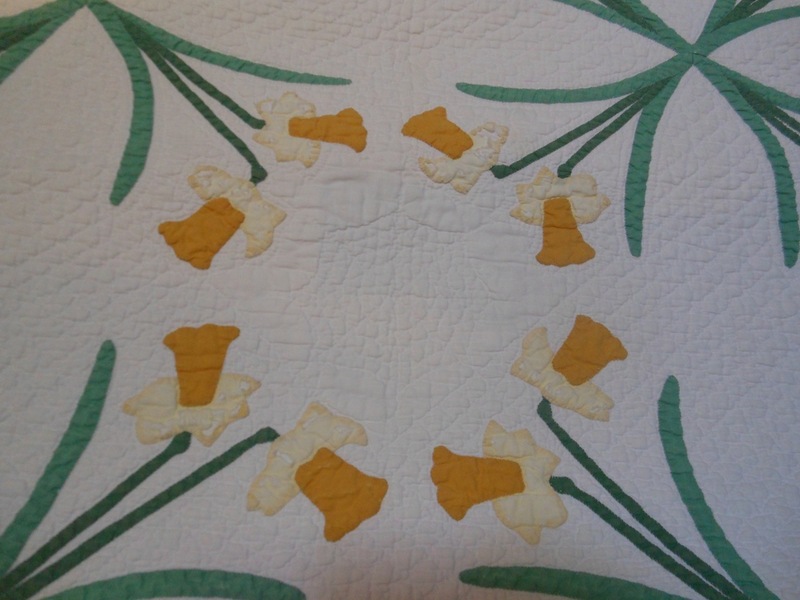 “Grandmother’s Flower Garden” will always be my favorite traditional quilt pattern! 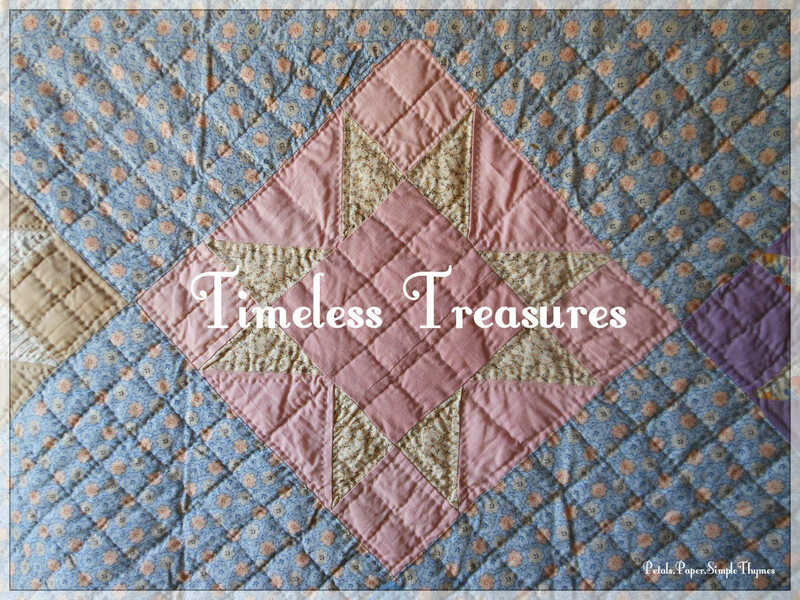 I loved the striking pattern and bright colors in this quilt. 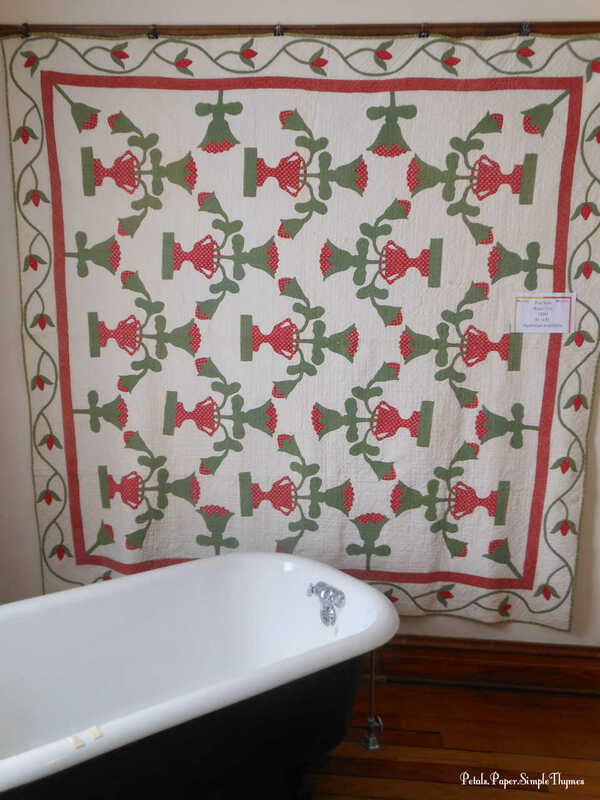 After admiring all of the quilts displayed throughout the farm house, we made a beeline to the bright red barn out back to see the antique quilts and vintage linens for sale. 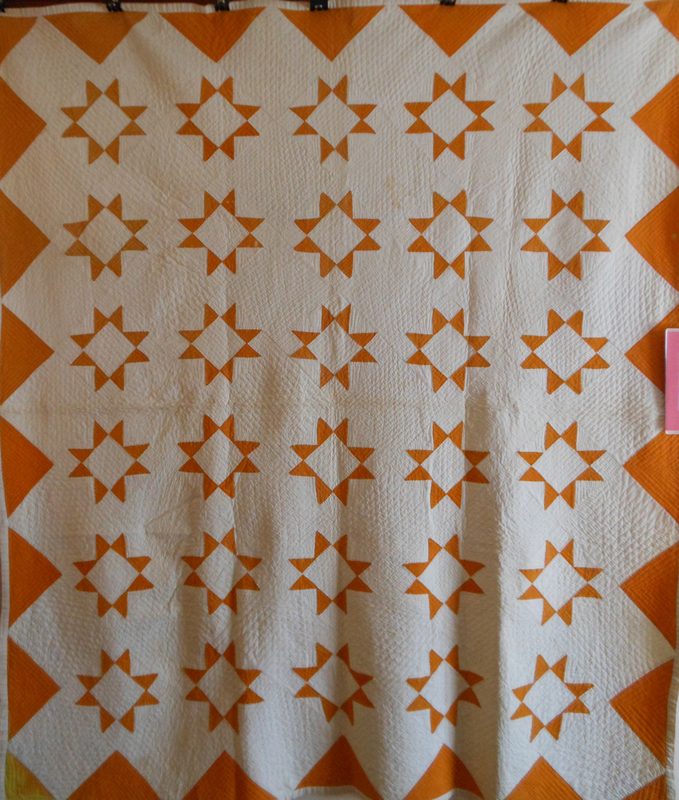 There were so many lovely quilts just waiting for new homes! I picked out two hand quilted pillows that will add a welcoming touch to our porch swing during the warm summer days ahead. I also found some vintage red, white, and blue pieced squares to hang as festive bunting for the Fourth of July. It was so nice to bring home these beautiful, handmade memories ~ all stitched with love! P.S. 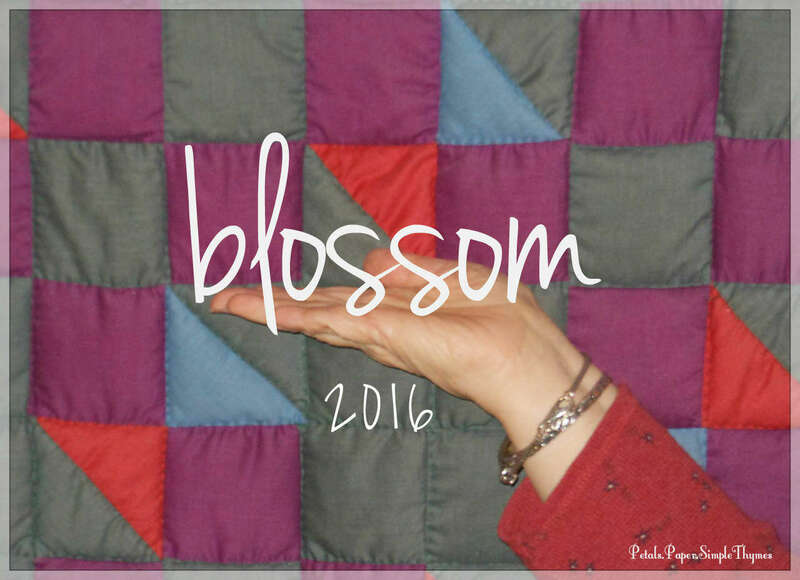 Do you have a favorite quilt pattern? 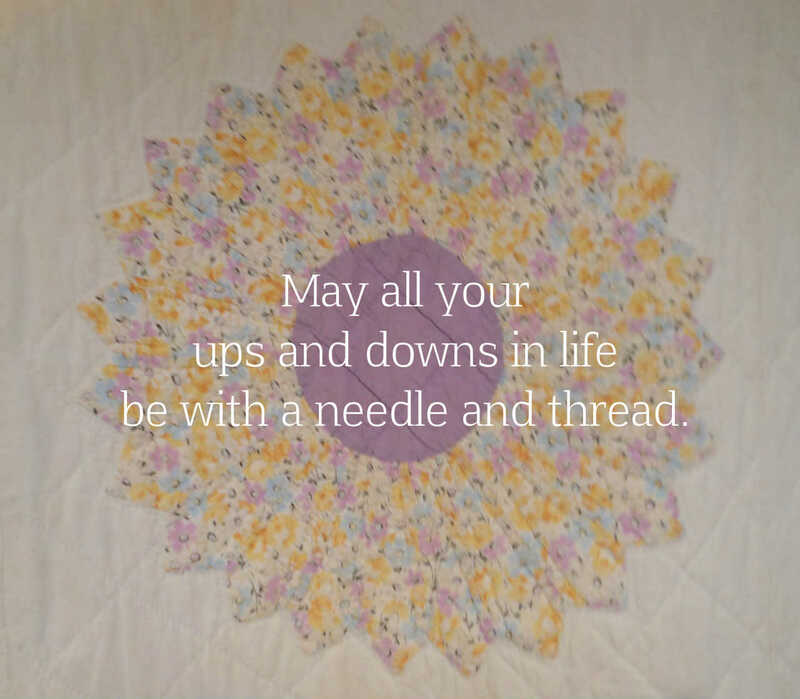 How do you display your quilts?